The moment there is any sign of mice or rats in your home, immediate action must be taken or it can lead to a full infestation. A big problem with rats and other kinds of rodents is that they rapidly breed and flourish. And many homeowners struggle to decide which type of trap is best for them, delaying the control process and allowing the nest to grow exponentially. This usually results in calling in professional help, which can be very expensive and in most cases unnecessary, even when dealing with higher numbers of the furry invaders. Being vigilant and alert from the moment there are any signs that mice or rats are calling your house their home is the key to avoiding a full infestation. The most effective way to keeping their population in check and fully eliminating them from your home is through smart and strategic use of mouse traps like the Rat Zapper Classic Rat Trap. This review will cover all you need to know about this specific rat or mouse trap including all of its various features, the advantages homeowners can gain, and the disadvantages that they should expect, to make a better purchasing decision. When it comes to a no-hassle rat or mouse trapping option, the Rat Zapper Classic Rat Trap is a great choice. It relies on a high-voltage electric shock to instantly kill the rodent as it enters the trap. There is no mess, no blood, no odor, and no need to see the dead rodent during disposal. 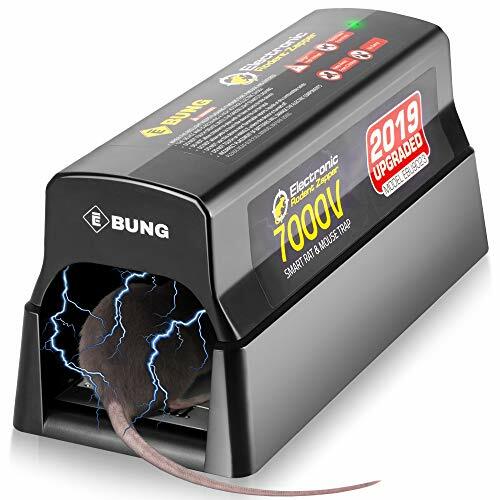 It is a trap that is very easy to use and set, and one setting allows for one kill, but the electric trap can manage up to 20 kills per battery change making it a great investment for pest control. As far as humane kill traps go, one that delivers a strong electric shock is the way to go. Rats do not suffer long because the shock of the trap kills them in seconds. Another advantage of using a reusable electric mousetrap is scent familiarity. Since you cannot clean the trap due to its electric component, the smell of the rat or mouse is kept within the device. This is more attractive to the rats and mice than using just bait, which makes the trap even more effective. This rat zapper is also fairly sanitary as no contact with the dead mouse or rat is needed during disposal. Although gloves must be worn at all times when handling rats and mice, the trap keeps their bodies away from your hands and lessens the chance to contact with diseases. Many swear by this rat trap and its reliability, making is a top contender for those who want to effectively drive the rat infestation in their homes down. 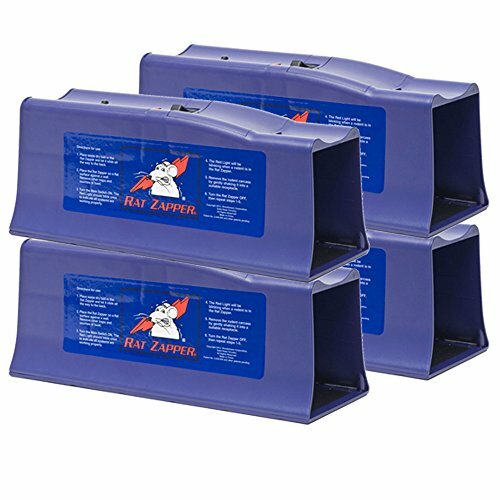 A big problem with zapper traps is the strength of the electric shock it delivers; sometimes the shocks aren’t high enough to kill or even stun the rodents, especially if you allow the batteries to run low. Since the device is left on for an entire night, whether or not it has caught its prey, this can quickly eat up the battery, resulting in a lot of battery changes, extra expense and added waste. For some, the need for batteries is a deal breaker and they would rather resort to the traditional non-battery operated mouse traps. We like what the savvy buyers do, which is buy rechargeable batteries specifically for the device, that way you’ll never need to run out of power again. And if you believe its is not a case of low battery power, it’s probably a good idea to contact the manufacturer to see if they can assist you with the problem. The Rat Zapper Classic Rat Trap is great for killing rats and mice of a certain size, but understandably doesn’t work as well for bigger rodents. We also suggest comparing similar devices, to ensure you are choosing the right device in the zapper category for your requirements. If you are certain that the pests you have at home are large, you are better off investing in a different product.